The NSW Bar Association has established an open dialogue with the office of the Sheriff of New South Wales regarding perimeter/security screening at NSW courts. The Sheriff has advised that if members have concerns regarding their treatment by court security staff members they should report the incident directly to the Officer in Charge or Regional Manager at the time they occur, where possible. In circumstances where immediate and direct reporting may not be possible, members may contact the Association which would be happy to assist by providing any concerns raised with it in writing to the Office of the Sheriff. Members should note that the Sheriff prefers earlier notification (same day) so that issues may be resolved at the time of the occurrence by relevant staff members at the Court. The relevant Association contact for these matters is Policy Lawyer, Ms Ting Lim (tlim@nswbar.asn.au or 9229 1739). Immerse yourself in some classic Australian true crime as you’re guided through an 1850s sandstone building not far from the old Deadhouse’ in Sydney Morgue and Coroner's Court in The Rocks. The first Deadhouse season takes you back in time to watch two of these notorious cases play out. Book your tickets here. The Leonard Lawson Case will play in Weeks 1 and 3 plus the Louisa Collins Case in Weeks 2 and 4. You will move around the courtyard and all three floors of this historic building and experience scenes depicting the back stories of these famous crimes. Background: Before 1972 the Sydney Coroner’s Court and Morgue was in lower George Street. The morgue was known as the Deadhouse. The Bone Room downstairs held boxes full of human bones from unsolved cases. Some of this building still remains. Early bird registrations for the 2018 Newcastle CPD Conference at the discounted price will close this Friday. You can still register after this date at the normal price. The Newcastle Conference is to be held at the Novotel Newcastle Beach on Saturday 10 March and will run from 9:00am - 4:40pm with full attendance attracting 6 CPD points. The 2018 Personal Injury/Common Law Conference is this Saturday, 3 March 2018. The conference begins at 9.00am with arrival tea and coffee available from 8.30am. Please view the program HERE.. The conference is on level 4 at the Hilton Sydney. Parking is available in the Secure Car Park below the hotel, accessed from 259 Pitt Street. For further details or to pre-book your parking, click HERE. Presented by The Hon. Justice Tony Meagher and chaired by Andrew Bell SC. For full details, please download a flyer here. This seminar has been organised by the NSW Bar Association Commercial Law Section and forms part of an ongoing lecture series on commercial topics. Presented by Charles Stewart and Martin Crabb, Shaw and Partners. Chaired by: TBC Attendees will be able to benefit from access to a $2000 complimentary financial health check with Shaw’s. For full details, please download a flyer here. Presented by Jason Harris, Associate Professor, UTS Faculty of Law & Mark Wellard, Legal Director, ARITA. Chaired by James Johnson, Frederick Jordan Chambers. For full details, please download a flyer here. A panel discussion involving Justice Steven Rares, Farid Assaf and Vanessa Whittaker. Chaired by Andrew Bell SC. For full details, please download a flyer here. Tuesday, March 13 2018, The Legal Personality of the Commonwealth of Australia Presented by Sebastian Hartford Davis. Chaired by Stephen Lloyd Sc. Details to follow. Wednesday, March 14 2018 - Tutor and Readers Seminar Presented by Robert Hollo SC, Simon Buchen and Julia Roy. Attendance at this session will satisfy the condition of eligibility for tutors as resolved by Bar Council in February 2016. For full details, please download a flyer here. Wednesday, March 21 2018 - Interpreting Legislation in Accordance with Human Rights Presented by Simeon Beckett. Chaired by Neil Williams SC. Details to follow. Tuesday, March 27 2018 -The Boundaries Between Fact and Law in Administrative Law Presented by Kristina Stern SC and Matt Sherman. Details to follow. Presented by Dr James Renwick SC, Andrew Fox and Wilson Chan. Chaired by Andrew Bell SC. For full details, please download a flyer here. This seminar will commence at 5.15pm in the Bar Association Common Room. The Parole Legislation Amendment Act 2017 commenced yesterday. The Department of Justice has created a parole reform website and issued a fact sheet, which can be viewed here. On 13 April 2018, between 1.00pm and 5.30pm, the University of Sydney will host a conference on "Litigation Funding, Class Actions & International Dispute Resolution Conference". The globalisation of markets is creating opportunities and challenges which confront regulators, judges, litigators, funders and others systemically involved in dispute resolution. Should litigation funding be regulated? What are the implications of the increased prevalence of funded class action proceedings in courts? The opening address will be delivered by the Honourable Michael McHugh AC QC, with the keynote speaker being Professor Deborah R Hensler, the Judge John W. Ford Professor of Dispute Resolution at Stanford Law School. Chairing the seminar will be Mary Walker, 9 Wentworth Chambers. Please note: Online registrations must be paid by Mastercard or VISA. For alternative payment methods, please contact law.events@sydney.edu.au. The National Integrity System Assessment is a major project assessing the strengths and weaknesses of Australia’s integrity institutions and accountability systems. It is a collaboration in 2017-2019 being led by Transparency International Australia and coordinated by Griffith University’s Centre for Governance and Public Policy, with funding from the Commonwealth and State governments through the Australian Research Council and integrity agency institutional partners: the New South Wales Ombudsman, the Queensland Integrity Commissioner, and the Crime & Corruption Commission Queensland. The broad outline regarding the assessment is here. Any person with relevant expertise or experience can register to be part of the assessment by completing this brief 'EOI' survey, here. The main survey would be run through April & May 2018. Please contact Dr Natasha Molt, the Law Council's deputy director of policy (02 6246 3754 or natasha.molt@lawcouncil.asn.au), in the first instance should you require further information. This seminar has been organised by the NSW Bar Association Commercial Law Section and form part of an ongoing lecture series on commercial topics. All seminars will commence at 5.15pm in the Bar Association Common Room unless otherwise stated. The program has been designed in conjunction with Art of Mentoring and the NSWBA Education Committee. If you wish to nominate yourself as a mentee or mentor please read and complete the online application form. Applications close Friday 16 March 2018. If you would like to know more, or are unsure if this program is suitable for you, you are invited to contact Program Manager, Karina Butera or NSW Bar Association's Professional Development Director, Bali Kaur for further information. Presented by Dr James Renwick SC, Andrew Fox and Wilson Chan. Chaired by Andrew Bell SC. For full details, please download a flyer here. On Wednesday 28 February 2018, the Federal Circuit Court at Parramatta is having a Users Group Meeting. If members of the NSW Bar would like any issues raised with the court, could you please email the NSW Bar’s representatives Robyn Druitt of Arthur Phillip Chambers and Lyn Judge of Lachlan Macquarie Chambers. 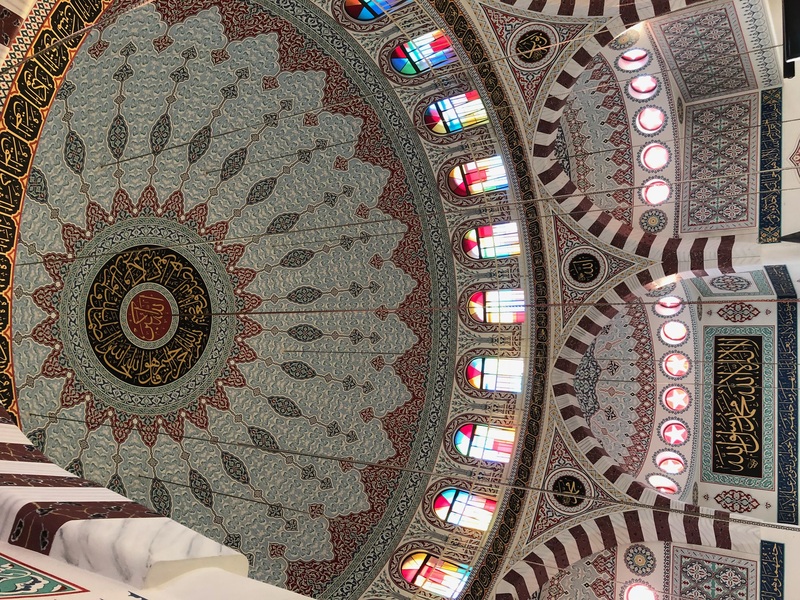 The Australian Financial Review's Katie Walsh last week reported on the visit by Chief Justice Bathurst AC and members of the judiciary and legal profession to the Gallipoli Mosque in Auburn. The visit was part of the opening law term religious services. President Arthur Moses SC said the visit was an example of "the courts the bar are working to engage with the community to explain the importance of the rule of law and mutual respect". Mr Moses also said this is vital "to maintain the confidence of the people we serve in the administration of justice". First it was the world-beating achievements of the Finnish public education system. 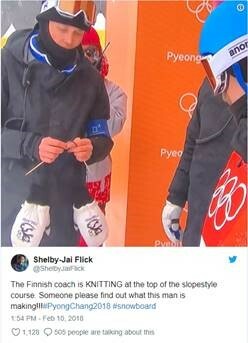 Now, the Finnish Winter Olympic team at Pyeongchang has shown the world how to cope with the stress of competing at the highest levels of international sports - knitting! In keeping with the spirit of Finnish Olympians, the Bar Knitting Group will hold its first meeting for 2018 tomorrow, 27 February at 6.00pm in the Bar Library. Come along. No experience (or skis) are required. Furthermore, the group has announced its meeting dates for 2018. Early bird registrations for the 2018 Newcastle CPD Conference at the discounted price will close this Friday. You can still register after this date at the normal price. The Newcastle Conference is to be held at the Novotel Newcastle Beach on Saturday 10 March and will run from 9:00am - 4:40pm with full attendance attracting 6 CPD points. Panellists: The Hon. Justice Lindsay, Supreme Court of NSW; Mr Andrew Smith, University Chambers; Professor Prue Vines, UNSW & Ms Anne Cregan, Gilbert + Tobin. Chaired by: Michael Higgins, Regional Community Engagement Manager, Aboriginal Legal Service. Light refreshments served at the conclusion of the seminar. Thursday, March 08 2018 - 10 Years of the Cross Border Insolvency Act A panel discussion involving Justice Steven Rares, Farid Assaf and Vanessa Whittaker. Chaired by Andrew Bell SC. For full details, please download a flyer here. These seminars have been organised by the NSW Bar Association Commercial Law Section and form part of an ongoing lecture series on commercial topics. All seminars will commence at 5.15pm in the Bar Association Common Room unless otherwise stated. The conference will be held in the Gidley King Room at the Park Royal Parramatta. Parking is available in and around the venue. A substantial, well-appointed, natural light-filled external room on Phillip Street is available for sale in 6 St James. These chambers occupy Level 6 and 7 of St James’ Hall, 169 Phillip Street. The room will suit a silk or senior junior. This busy chambers consists of 24 barristers including two Senior Counsel practising in commercial, public, employment, family and international law. For member profiles see www.sixstjameshall.com.au. The room with a connected secretarial room has four large windows, a built-in desk, robe cupboard, large briefs cupboards and full wall shelving for law reports and textbooks. Chambers is connected to Barnet and uses VOIP telephony. Members are provided with a Thomson Reuters online subscription and an extensive library of law reports and loose-leaf services. Price & Outgoings on Application. For further information please contact the Chambers’ Practice Manager, Nora Faulua on 9236 8600 or via email to nfaulua@stjames.net.au. Enquiries will be treated with the strictest confidence. Wednesday, February 28, 2018 - Insurance and the courts Presented by The Hon. Justice Tony Meagher and chaired by Andrew Bell SC. For full details, please download a flyer here.